Saturday morning Nick and I rose bright and early and took the red line to Garfield where Ben and Paul met us. Coffee and delicious Medici baked goods in hand, we drove to the Three Floyds brewery in Munster, Indiana. We arrived around 10:30 to find the parking lot full of some of the best beer nerds around enjoying some truly gorgeous weather. Picnic tables were brimming with the best bottles from personal collections and we were offered small tasting glasses and friendly conversation. 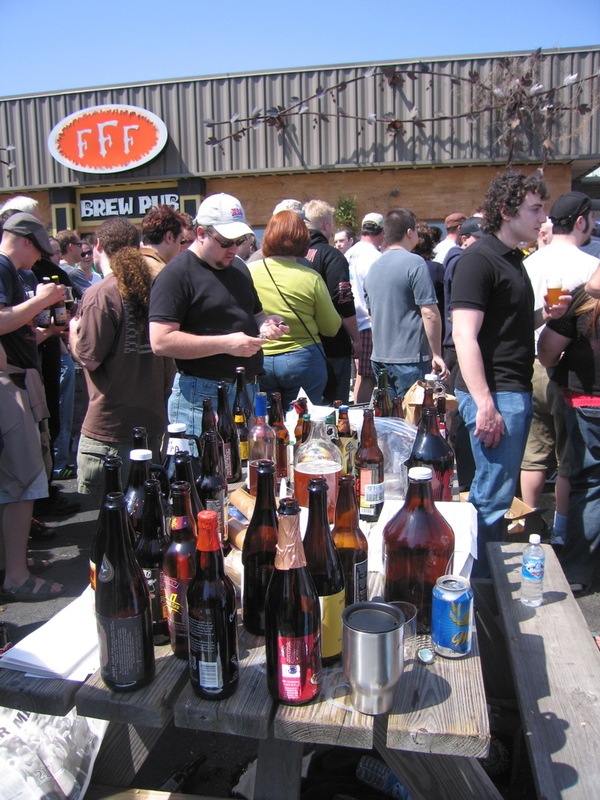 Around noon the door to the brew house opened and a polite stampede pushed the crowd into a haphazard line. 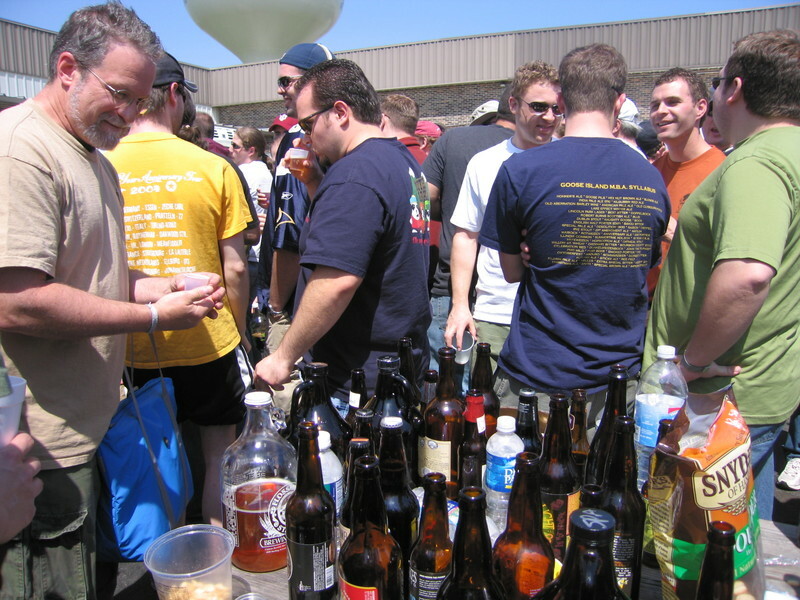 This line set itself apart from most by virtue of pulling us past more tables of now fairly abandoned (and perhaps a bit warm) bottles of incredible beers. The line moved slowly, but the conversation with excited strangers was quite entertaining. Occasionally a patron would emerge from the brew house with an arm full of 22 ounce bottles and a huge grin. 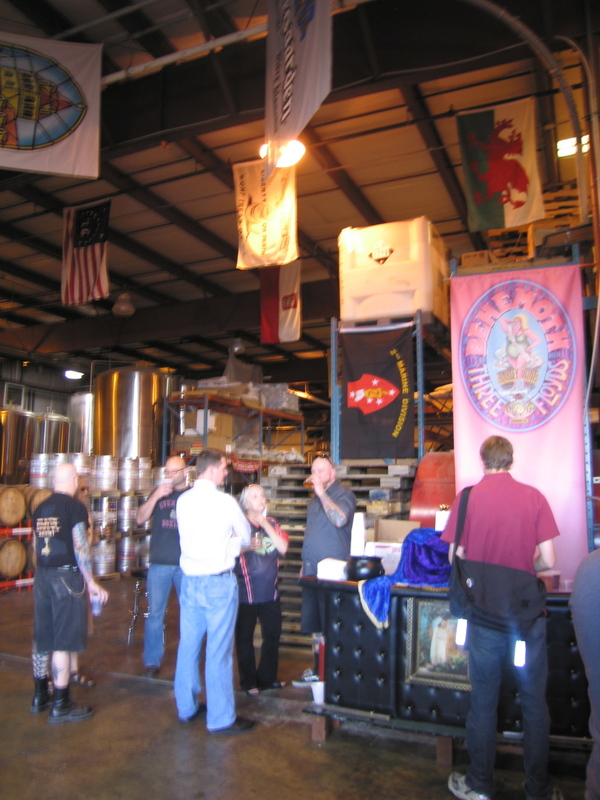 Once inside the brew house we bought pints of GumballHead to get us through the last leg. 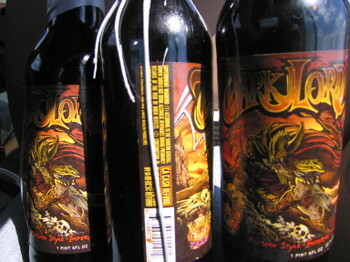 There was a 6-bottle limit per person on Dark Lord, but there were other offerings available for sale as well. 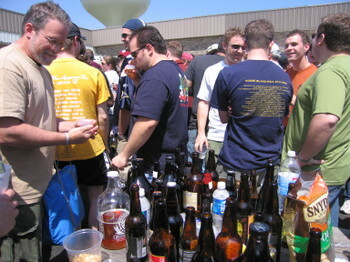 We took off fairly quickly after purchasing our beer (the line took about 2 hours) and we were astonished to still see the line circling through the parking lot and down the street. We estimated that there must have been about 2,000 people that came out for the event. That evening Nick and I opened one of the bottles. Neither of us had tasted the Dark Lord before and we were in for a treat. This Russian Imperial Stout pours out thick and opaque, like motor oil. 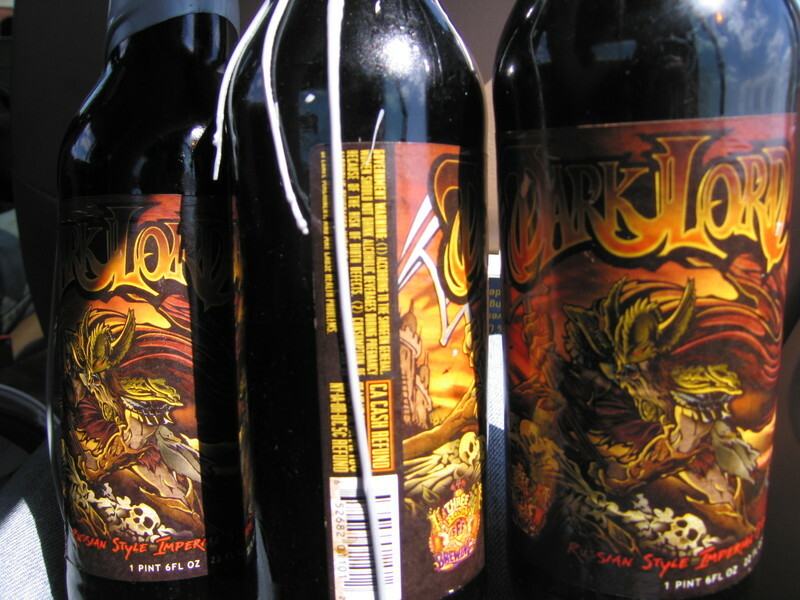 It is extremely dark and has flavors that keep rolling for several seconds after the most flavorful beers I have tried. The head was gorgeous, small, creamy and dark espresso colored and it smelled like honey and sweet malt. The beginning tasted like cherries, plums and chocolate. The middle was big and sweet like jam, raisins and rum, and the end was long and tasted of espresso and chocolate (Note: they use Intelligensia coffee in the brewing process). I have never tasted a beer so complex. This is truly a treat. There is no alcohol content on the bottle, but judging by how chatty Nick and I were after splitting one, I think it is safe to assume it is up there. Oh my. I wish I had $90 to blow on six bottles. I only ended up with three and I owe Paul money for one of those. Hopefully you were there to get your own. They only brew these beauties once a year. There was rumor that the Small Bar on Division was going to get a keg, and since I noticed the bartender was there I imagine this is true. If you have a friend that lets you try some of her stash, know she loves you. This is special stuff. Wow, that beer sounds awesome! I looked it up on beeradvocate.com and they have it marked as the #1 beer brewed in America and the #2 beer in the world. It also has the abv at 13%. this posting is making me drool. starelpramen is good and all, but i miss microbrews so much.